This wreck dive certainly stands out and provides divers with a totally unique experience. Resting 27 metres below the surface, the fascinating remains of a World War II B17 Bomber plane can be explored by advanced divers. The American aircraft was deployed in February 1944 for the purposes of destroying the railway system in Verona, which had been seized by the Germans. However, it never succeeded in its mission as it was damaged on the way. After being hit by Geman fighter pilots, captain Lieutenant Charplik was forced to make an emergency landing on water, consequently losing 4 men from his crew. The impressive plane, which has a 32 metre wingspan, is in excellent condition. Divers will be able to clearly identify the pilot seats and aviation instruments, which have been left intact in the cockpit. The engines and remaining machine guns are another highlight of this fascinating dive. The marine life is vibrant in this area, and divers may catch a glimpse of seahorses, stingrays or even dolphins while exploring the wreck. This is also an excellent opportunity to see live coral, such as brain coral and red and yellow gorgonian fans, which have made their home inside the plane. This wreck is perfect for exploring if you leave your superyacht in the nearby port of Calvi, where the 60 metre Elysian was seen moored in July. This wreck dive certainly stands out and provides divers with a totally unique experience. Resting 27 metres below the surface, the fascinating remains of a World War II B17 Bomber plane can be explored by advanced divers. The American aircraft was deployed in February 1944 for the purposes of destroying the railway system in Verona, which had been seized by the Germans. However, it never succeeded in its mission as it was damaged on the way. After being hit by Geman fighter pilots, captain Lieutenant Charplik was forced to make an emergency landing on water, consequently losing 4 men from his crew. The impressive plane, which has a 32 metre wingspan, is in excellent condition. Divers will be able to clearly identify the pilot seats and aviation instruments, which have been left intact in the cockpit. 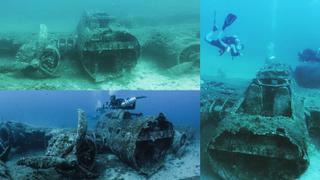 The engines and remaining machine guns are another highlight of this fascinating dive. The marine life is vibrant in this area, and divers may catch a glimpse of seahorses, stingrays or even dolphins while exploring the wreck. This is also an excellent opportunity to see live coral, such as brain coral and red and yellow gorgonian fans, which have made their home inside the plane. This wreck is perfect for exploring if you leave your superyacht in the nearby port of Calvi, where the 60 metre Elysian was seen moored in July. MS Zenobia has arguably had a longer career as a wreck than a functioning vessel. The 178 metre Swedish ferry sunk outside Larnaca, Cyprus on her maiden voyage in June 1980, just one stop from her final destination of Tartous in Syria. Technical problems were the cause of her demise and although the crew were evacuated safely prior to the sinking, MS Zenobia took almost £200 million worth of cargo down with her. Fortunately, MS Zenobia and the 104 vehicles she was carrying have been well preserved, meaning that she now makes for an intriguing dive. Lying 42 metres below the surface, there is a multitude of marine life around the MS Zenobia and divers are most likely to spot moray eels, barracudas, jack fish and grouper fish. Advanced divers can explore the accommodation block, where part of the red tartan carpet can still be seen and the two full lorry decks. Though rusting, the lorries still have their windscreens and maintain the original paintwork on their cabs. MS Zenobia makes for a spectacular technical dive, with options for divers of varying levels. The MS Zenobia shipwreck dive is located very close to Larnaca marina, which can accommodate yachts up to 49 metres. MS Zenobia has arguably had a longer career as a wreck than a functioning vessel. The 178 metre Swedish ferry sunk outside Larnaca, Cyprus on her maiden voyage in June 1980, just one stop from her final destination of Tartous in Syria. Technical problems were the cause of her demise and although the crew were evacuated safely prior to the sinking, MS Zenobia took almost £200 million worth of cargo down with her. Fortunately, MS Zenobia and the 104 vehicles she was carrying have been well preserved, meaning that she now makes for an intriguing dive. Lying 42 metres below the surface, there is a multitude of marine life around the MS Zenobia and divers are most likely to spot moray eels, barracudas, jack fish and grouper fish. Advanced divers can explore the accommodation block, where part of the red tartan carpet can still be seen and the two full lorry decks. Though rusting, the lorries still have their windscreens and maintain the original paintwork on their cabs. 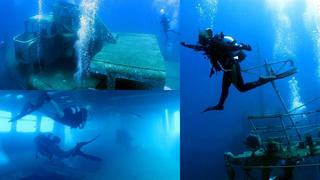 MS Zenobia makes for a spectacular technical dive, with options for divers of varying levels. The MS Zenobia shipwreck dive is located very close to Larnaca marina, which can accommodate yachts up to 49 metres. Avid underwater explorers will be able to go on eight-day trips to the wreck of the RMS Titanic as of May 2018. Each trip will be open to just nine guests at a time and the group will fly by helicopter to the support yacht from St John's, Newfoundland. After settling into the new environment and completing training sessions, groups of three will descend to the wreck in Cyclops 2. Made of titanium and filament-wound carbon fibre, it's the only manned submersible capable of reaching depths of up to 4,000 metres that is not owned by the government. Cyclops 2 allows for 360 degree views of its surroundings with specialist lighting and cameras, meaning guests will be able to fully explore the wreck and the bizarre marine life that exists at these depths on each descent. They will spend approximately three hours exploring the wreck with a focus on the more intact bow section. Each trip will be incredibly hands-on, as guests will help with dive preparations, review footage of the wreck, help to analyse data and take part in other mission specialist support roles. OceanGate Expeditions has collaborated with Blue Marble Private to launch the Titanic Survey Expedition with an aim to eventually create a detailed 3D model of the wreck in addition to documenting her current condition and the surrounding ecosystem. The RMS Titanic famously struck an iceberg and sank while en route to New York City from Southampton in April 1912. She now lies in two pieces with approximately 600 metres between them. 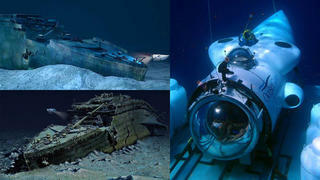 The location of the wreck was not known until 1985, when a joint project led by Dr Robert Ballard of the Woods Hole Oceanographic Institution and Jean-Louis Michel of Ifremer (French Research Institute for Exploitation of the Sea) discovered what was left of the famous ship. Avid underwater explorers will be able to go on eight-day trips to the wreck of the RMS Titanic as of May 2018. 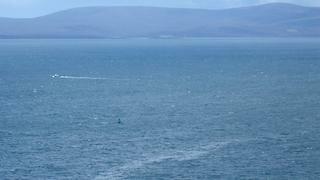 Each trip will be open to just nine guests at a time and the group will fly by helicopter to the support yacht from St John's, Newfoundland. After settling into the new environment and completing training sessions, groups of three will descend to the wreck in Cyclops 2. Made of titanium and filament-wound carbon fibre, it's the only manned submersible capable of reaching depths of up to 4,000 metres that is not owned by the government. Cyclops 2 allows for 360 degree views of its surroundings with specialist lighting and cameras, meaning guests will be able to fully explore the wreck and the bizarre marine life that exists at these depths on each descent. They will spend approximately three hours exploring the wreck with a focus on the more intact bow section. Each trip will be incredibly hands-on, as guests will help with dive preparations, review footage of the wreck, help to analyse data and take part in other mission specialist support roles. OceanGate Expeditions has collaborated with Blue Marble Private to launch the Titanic Survey Expedition with an aim to eventually create a detailed 3D model of the wreck in addition to documenting her current condition and the surrounding ecosystem. The RMS Titanic famously struck an iceberg and sank while en route to New York City from Southampton in April 1912. She now lies in two pieces with approximately 600 metres between them. The location of the wreck was not known until 1985, when a joint project led by Dr Robert Ballard of the Woods Hole Oceanographic Institution and Jean-Louis Michel of Ifremer (French Research Institute for Exploitation of the Sea) discovered what was left of the famous ship. 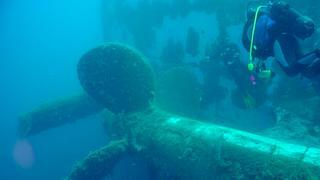 Lady Thetis is one of three popular wreck dives just off the Limassol coast, including the Constandis and Akrotiri. Further up the coast in Larnaca lies the Zenobia wreck, which is on most people's diving bucket list. Lady Thetis is a 30 metre a passenger ship that was purposefully sunk in 2014 along with Constandis, a 23 metre fishing vessel, to create an artificial reef and recreational dive site. The latter was built in 1989 in the Soviet Union and was used as a trawler, while Lady Thetis was built in Hamburg in 1953. Both now rest between approximately 19 and 25 metres deep and host a huge array of marine life in a location where all fishing is strictly prohibited. The project is being financed by the EU fisheries programme, the Cyprus Tourism Organisation and the Cyprus Dive Centre Association in an attempt to replenish the declining fish population around Cyprus. Divers can hope to spot large groups of parrotfish, turtles, barracuda, monk seals, sea bream, groupers jacks and damselfish while exploring the amazing swim-throughs that the two wrecks offer, which includes storerooms, engine rooms, staircases, hatches and various decks. It's easy to visit this beautiful part of Cyprus by superyacht thanks to the nearby Limassol Marina, which can accommodate luxury yachts up to 110 metres. After a day exploring the two wrecks unwind with a spa treatment at the Sanctum Spa or a cocktail at the elegant Marina Breeze lounge bar. Lady Thetis is one of three popular wreck dives just off the Limassol coast, including the Constandis and Akrotiri. Further up the coast in Larnaca lies the Zenobia wreck, which is on most people's diving bucket list. Lady Thetis is a 30 metre a passenger ship that was purposefully sunk in 2014 along with Constandis, a 23 metre fishing vessel, to create an artificial reef and recreational dive site. The latter was built in 1989 in the Soviet Union and was used as a trawler, while Lady Thetis was built in Hamburg in 1953. Both now rest between approximately 19 and 25 metres deep and host a huge array of marine life in a location where all fishing is strictly prohibited. The project is being financed by the EU fisheries programme, the Cyprus Tourism Organisation and the Cyprus Dive Centre Association in an attempt to replenish the declining fish population around Cyprus. Divers can hope to spot large groups of parrotfish, turtles, barracuda, monk seals, sea bream, groupers jacks and damselfish while exploring the amazing swim-throughs that the two wrecks offer, which includes storerooms, engine rooms, staircases, hatches and various decks. It's easy to visit this beautiful part of Cyprus by superyacht thanks to the nearby Limassol Marina, which can accommodate luxury yachts up to 110 metres. After a day exploring the two wrecks unwind with a spa treatment at the Sanctum Spa or a cocktail at the elegant Marina Breeze lounge bar. Divers are spoilt for choice in Bermuda as the island has more shipwrecks per square mile than anywhere else in the world. However, if you are limited for time the Mary Celestia is a must. The side paddlewheel steamer was used by the Confederate Army during the American Civil War as a blockade runner while smuggling guns, ammunition and supplies to the troops. She is believed to have made at least five successful trips to the south before she sunk in 1864 while being piloted by local Bermudian John Virgin. The ship hit headlines again in June 2011 when a group of international marine archeologists discovered five bottles of fine wine — 147 years after she first sunk. One of the bottles were uncorked in March last year but unfortunately was reported to taste primarily of seawater. Mary Celestia lies in approximately 17 metres of water and as well as searching for old bottles of wine there is plenty to see with artifacts such as the boilers, anchor and part of the bow clearly visible. If you want to dive the Mary Celestia don’t miss our guide to six days exploring the best of Bermuda. Divers are spoilt for choice in Bermuda as the island has more shipwrecks per square mile than anywhere else in the world. However, if you are limited for time the Mary Celestia is a must. The side paddlewheel steamer was used by the Confederate Army during the American Civil War as a blockade runner while smuggling guns, ammunition and supplies to the troops. She is believed to have made at least five successful trips to the south before she sunk in 1864 while being piloted by local Bermudian John Virgin. The ship hit headlines again in June 2011 when a group of international marine archeologists discovered five bottles of fine wine — 147 years after she first sunk. One of the bottles were uncorked in March last year but unfortunately was reported to taste primarily of seawater. Mary Celestia lies in approximately 17 metres of water and as well as searching for old bottles of wine there is plenty to see with artifacts such as the boilers, anchor and part of the bow clearly visible. If you want to dive the Mary Celestia don’t miss our guide to six days exploring the best of Bermuda. 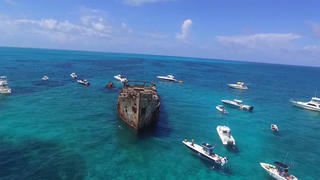 Wrecked off the coast of Bimini Island in the Bahamas, S.S. Sapona has a remarkable history that has attracted a strong following of shipwreck divers. Commissioned by US President Woodrow Wilson to serve in World War One, she only completed one wartime transport before the armistice was signed. After the war she was sold and spent a few years rum smuggling during the prohibition era. S.S. Sapona ran aground during a violent hurricane in 1926 and has been lying in the Bahamas ever since. However, her wartime service was not over, with the US armed forces using S.S. Sapona for machine gun and bombing target practice during World War Two. These days her concrete hull is teeming with vibrant marine life and corals, and thrill seekers often climb her nine metre tall superstructure to jump into the crystal blue waters below. With depths of up to six metres, S.S. Sapona is an easy dive for beginners, and can be visited as part of a private cruise or superyacht charter in the North Bahamas. 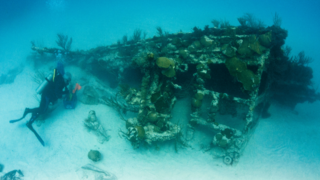 Wrecked off the coast of Bimini Island in the Bahamas, S.S. Sapona has a remarkable history that has attracted a strong following of shipwreck divers. Commissioned by US President Woodrow Wilson to serve in World War One, she only completed one wartime transport before the armistice was signed. After the war she was sold and spent a few years rum smuggling during the prohibition era. S.S. Sapona ran aground during a violent hurricane in 1926 and has been lying in the Bahamas ever since. However, her wartime service was not over, with the US armed forces using S.S. Sapona for machine gun and bombing target practice during World War Two. These days her concrete hull is teeming with vibrant marine life and corals, and thrill seekers often climb her nine metre tall superstructure to jump into the crystal blue waters below. With depths of up to six metres, S.S. Sapona is an easy dive for beginners, and can be visited as part of a private cruise or superyacht charter in the North Bahamas. Located in the world heritage listed Great Barrier Reef Marine Park the 110 metre steamship sank during a cyclone in 1911. All 122 on board were killed and the wreck was not discovered until 1958. The site is now protected under the Historic Shipwreck Act and is on the “bucket list” for many fanatics who want to experience one of the world's best shipwreck dives. The wreck is famous due to its prolific variety and size of marine life. Divers can be lucky enough to see giant groupers, giant marble rays and giant trevally while swimming among schools of barracuda, eagle rays, turtles and sea snakes. Located in the world heritage listed Great Barrier Reef Marine Park the 110 metre steamship sank during a cyclone in 1911. All 122 on board were killed and the wreck was not discovered until 1958. The site is now protected under the Historic Shipwreck Act and is on the “bucket list” for many fanatics who want to experience one of the world's best shipwreck dives. 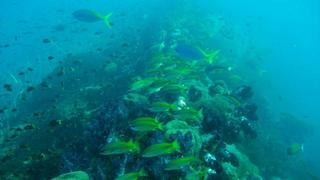 The wreck is famous due to its prolific variety and size of marine life. Divers can be lucky enough to see giant groupers, giant marble rays and giant trevally while swimming among schools of barracuda, eagle rays, turtles and sea snakes. The Tabarka is one of the three remaining blockships that were originally sunk in Burra Sound, Scotland to stop enemy vessels from being able to access the Flow. She is upside down and has numerous entry points for ambitious divers. This shipwreck dive is not for those who don’t enjoy cold water, but it's worth braving the temperature as the inside of the ship has been described as an “underwater cathedral”. Every surface is coated with a myriad of colourful anemones that are fed by the strong current. This wreck can only be dived at slack water and the timing needs careful planning, but the rewards can be huge. The Tabarka is one of the three remaining blockships that were originally sunk in Burra Sound, Scotland to stop enemy vessels from being able to access the Flow. She is upside down and has numerous entry points for ambitious divers. This shipwreck dive is not for those who don’t enjoy cold water, but it's worth braving the temperature as the inside of the ship has been described as an “underwater cathedral”. Every surface is coated with a myriad of colourful anemones that are fed by the strong current. This wreck can only be dived at slack water and the timing needs careful planning, but the rewards can be huge. 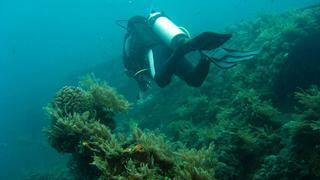 USAT Liberty is one of Indonesia’s most popular diving locations. She was torpedoed by a Japanese submarine in 1942 and in an effort to save her, was towed towards a dry dock. However, she was too badly damaged and was unloaded and beached at Tulamben. 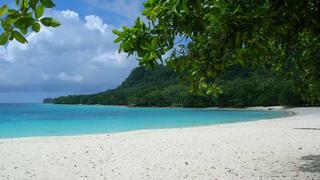 She now lies on a black sand slope, almost parallel to the beach and is only 30 metre offshore. This shipwreck is now in a state of decay so you cannot enter it on a dive, but you can still see the guns, toilets, and boilers. 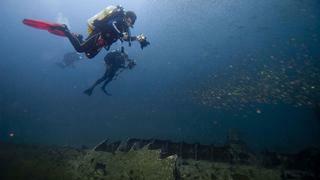 USAT Liberty is one of Indonesia’s most popular diving locations. She was torpedoed by a Japanese submarine in 1942 and in an effort to save her, was towed towards a dry dock. However, she was too badly damaged and was unloaded and beached at Tulamben. She now lies on a black sand slope, almost parallel to the beach and is only 30 metre offshore. This shipwreck is now in a state of decay so you cannot enter it on a dive, but you can still see the guns, toilets, and boilers. This area of North Carolina offers one of the highest shipwreck densities in the world, with more than 600 wrecks dating back to the 1500s. A popular introductory shipwreck dive is the W.E. Hutton wreck: a freighter sunk by a German U-boat in 1942. The wreck is in 70 feet of water just 14 miles south of Morehead City. Another famous site in the area is the U-352 which is a German submarine that was sunk by the U.S. Coast Guard cutter, Icarus, in 1942. It now lies at 115 feet only 26 miles south of Morehead City. As well as the vast variety of wrecks, the area is also becoming a popular shark diving destination with sand tiger sharks being regularly spotted. For those who are more interested in exploring the wrecks on dry land, there is a museum dedicated to the graveyard in Hatteras. This area of North Carolina offers one of the highest shipwreck densities in the world, with more than 600 wrecks dating back to the 1500s. A popular introductory shipwreck dive is the W.E. Hutton wreck: a freighter sunk by a German U-boat in 1942. The wreck is in 70 feet of water just 14 miles south of Morehead City. Another famous site in the area is the U-352 which is a German submarine that was sunk by the U.S. Coast Guard cutter, Icarus, in 1942. It now lies at 115 feet only 26 miles south of Morehead City. As well as the vast variety of wrecks, the area is also becoming a popular shark diving destination with sand tiger sharks being regularly spotted. For those who are more interested in exploring the wrecks on dry land, there is a museum dedicated to the graveyard in Hatteras. The S.S. President Coolidge is one of the largest and most accessible shipwrecks dives in the world; as many as ten dives are recommended to truly explore this shipwreck in Vanuatu. Originally a luxury liner, S.S. President Coolidge was transformed into a troop carrier during the second World War and was not intended to see any action. She was hit by friendly mines while trying to enter the military base at Espiritu Santo in October 1942. The captain took the decision to run her aground and 4,998 men were evacuated from the ship before she sank and slid down into the channel. S.S. President Coolidge’s dual identity means that divers see a luxury cruise line and a military ship on a single dive. Coral also grows around the wreck and many sea turtles and moray eels live on her. The S.S. President Coolidge is one of the largest and most accessible shipwrecks dives in the world; as many as ten dives are recommended to truly explore this shipwreck in Vanuatu. Originally a luxury liner, S.S. President Coolidge was transformed into a troop carrier during the second World War and was not intended to see any action. She was hit by friendly mines while trying to enter the military base at Espiritu Santo in October 1942. The captain took the decision to run her aground and 4,998 men were evacuated from the ship before she sank and slid down into the channel. S.S. President Coolidge’s dual identity means that divers see a luxury cruise line and a military ship on a single dive. Coral also grows around the wreck and many sea turtles and moray eels live on her.